kshb-41 nbc – "kansas city live"
KSHB-41 "Kansas City Live" Anchor, Michelle Davidson, sits down with director/producer, Stephanie Seldin Howard, and Kansas Film Chair, Brian Mossman, to discuss the film and the Kansas International Film Festival. KMBC-9 reporter Rob Hughes interviews Shawn Moore and Gina Hill, two caregivers featured in The Weight of Honor, prior to the film’s screening at the Kansas City Regional Police Academy. KTTV-11 Anchor Bob DeCosta interviewed Producer/Director Stephanie Seldin Howard. The Fox LA “Studio 11″ team put together a moving segment on the 2017 documentary The Weight of Honor. Dave Nassaney, the host of "Dave, The Caregiver's Caregiver" program meets with Stephanie Seldin Howard and Adrienne Gruberg for group video chat to discuss the film and veteran caregiving. KTLA-5 “News at 10″ reporter Kacey Montoya interviewed Producer/Director Stephanie Seldin Howard and shows new excerpts of 2017 documentary The Weight of Honor. August 26, 2018 I Stephanie calls in to the Caregiver SOS: On Air show for a 1-hour interview with Carol Zernial, a respected gerontologist and Executive Director of the WellMed Charitable Foundation, and award-winning veteran broadcaster, Ron Aaron. July 25, 2018 | Stephanie sits down with Carole Dean, President and Founder of From The Heart Productions (our fiscal sponsor) and host of The Art of Film Funding Podcast, for a 1-hour podcast to talk about The Weight of Honor Movie, the best way to structure questions, and how to effectively conduct interviews while making a documentary. The full interview is also available at Blog Talk Radio, iTunes or Stitcher. March 22, 2018 I Our next screening of The Weight of Honor will be at the U.S. Army Heritage and Education Center in Carlisle, PA on Thursday, March 22 at 6:30 p.m. This is our Pennsylvania premiere! In advance of the Pennsylvania premiere, I’ll be a guest on witf's radio show, Smart Talk w/ Scott LaMar this Friday morning, March 16 at 9:30 a.m. EDT to talk about the screening. You can listen live by tuning in to witf 89.5 or 93.3, or stream it at WITF.org. November 27, 2017 | Crystal Niehoff and Sharita Knobloch, Army Wife Talk Radio co-hosts, interview director/producer Stephanie Seldin Howard. Stephanie's interview begins at the 29 minute mark. This interview is also available at the armywifenetwork.com. 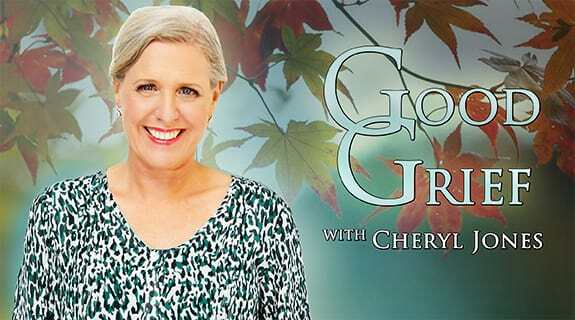 November 22 | Cheryl Jones from Good Grief With Cheryl Jones interviews director/producer Stephanie Seldin Howard. This interview is also available on voiceamerica.com. November 14, 2017 | Marquis and Bo from Barracks Talk interview director/producer Stephanie Seldin Howard. Stephanie's interview begins at the 41 minute mark. This interview is also available on dvradio.net. November 11, 2017 | Mary Walter interviews director/producer Stephanie Seldin Howard. Audio file hosted on soundcloud. November 10, 2017 | KIOS NPR news segment featuring the two The Weight of Honor showings in Omaha. November 9, 2017 | The Happy Hour podcast team talks with Stephanie on episode 58. The full article and podcast is available on nextgenmilspouse.com. November 9, 2017 | Jana Panarites, host and producer of The Agewyz Podcast, connects with Stephanie for an in-depth conversation about the making of the film. For the full interview and several others about caregiving, visit agewyz.com. November 7, 2017 | Caitlin M. Kenney interviews director/producer Stephanie Seldin Howard. Full interview and audio file also available at: ConnectingVets.com. November 7, 2017 | Carolyn P. Hartley meets with Stephanie Seldin Howard to discusses The Weight of Honor and the families caring for the soldiers returning home from Afghanistan and Iraq with catastrophic and permanent life-alternating wounds. Full interview and audio file also available at: carolynphartleycom. When we were in San Antonio, and just before our world premiere, we met up with Carson Frame, a military veterans' issue reporter woking with Texas Public Radio (TPR). In the interview, which is just under five minutes, we were able to share the origins of the film, the important and mostly unknown role of caregiving for a veteran with PTSD and severe injuries, and touched on a few of the aspects that make The Weight of Honor a powerful and unique film. Both the audio and full transcript of the interview can be found at tpr.org. KLIF-570 - "News in the Morning"
Dan Lybarger, for the Akansas Democrat Gazette, attended the Kansas International Film Festival and caught up up with director/producer Stephanie Seldin Howard after the screening of The Weight of Honor. Read the the full article at: ArkansasOnline.com. UP TO DATE guest host, Brian Ellison, along with the show's film critics, interview director/producer Stephanie Seldin Howard ahead of the film's upcoming screening at the Kansas International Film Festival. Read the full article at: What's Showing in Independent, Foreign & Documentary Film. *Podcast of the radio broadcast not yet posted. Hal Donahue, a veteran and contributing writer for Huffpost, watched and reviewed The Weight of Honor. Find out what he thinks, and learn about his personal experience with the film's subject. Read the full article at: huffpost..com. Susan Welte, staff writer for The Ottawa Herald, speaks with Gina Hill, one of the caregivers featured in The Weight of Honor, along with director/producer Stephanie Seldin Howard. 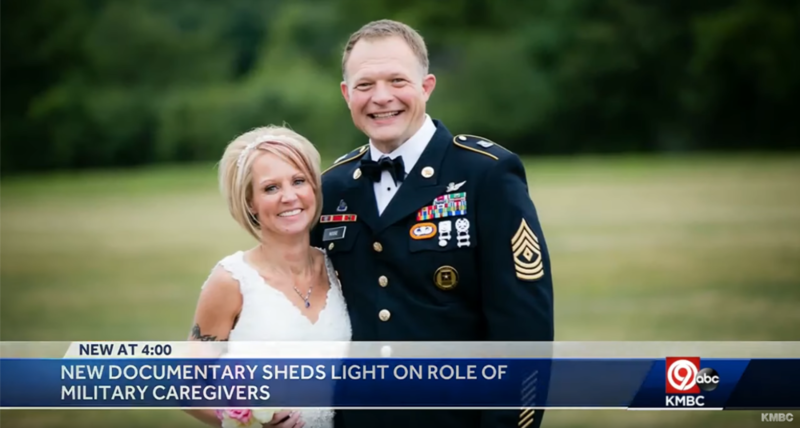 Mrs. Hill shares some of her experience of becoming the primary caregiver to husband, Allen Hill, who suffered a traumatic brain injury during the Iraq war. Read the full article at: ottawaherald.com. Our director/producer, Stephanie Seldin Howard, sits down with Jon Niccum, a freelance writer and contributor for The Kansas City Star, and shares insights on the making of The Weight of Honor, which will show during the 17th annual Kansas Film Festival on Saturday, Nov. 4. The full article can be found at: kansascity.com. You can read the full article at sacurrent.com.